I came across this awesome website The House of Smiths and saw this adorable Halloween spider picture frame project that I just have to make. I made it into this quick card, I love the simplicity of it, the frame will make a nice addition to my Halloween decor. 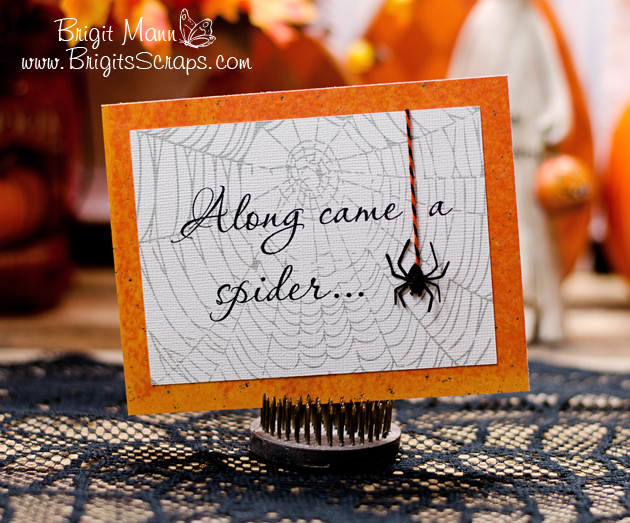 I think I'll use a bigger spider like the original but I like this web background from Carina Gardner's Spider's Web collection, this Aqarette font and of course the Orange Licorice Trendy Twine!